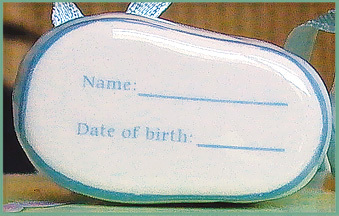 On the bottom of the bootie's you can personalize with baby name and date of birth. 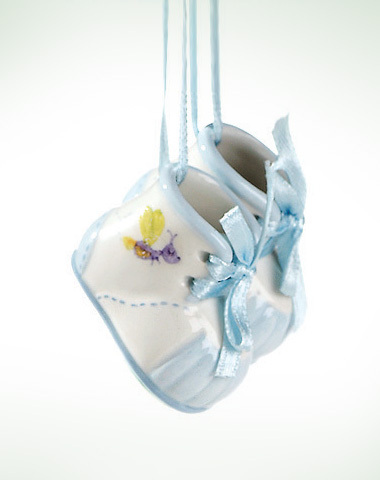 These fully sculpted ceramic booties are absolutely adorable! They're laced with real satin ribbon and decal artwork. The booties can also be personalized which makes them such a great gift!